The first time I came across this craft product was when I met the brothers (pictured above) at the WTCE event in Hamburg in April 2018. The name Ovin Pion represents the name of their family and their promise is that this stands for Pureté. Plaisir. Liberté (Pure. Pleasure. Freedom). Their award winning Vodka is produced from winter wheat that comes from the regions of Bassin Parisien, Beauce and Picardie in the north of France. The water for Ovin Pion originates from near the small village of Gensac-la-Pallue, which is naturally filtered by limestone. Before bottling, Ovin Pion vodka is Distilled 5 times with a special distillation process of a 17% water-alcohol mixture and single-filtered only one time. 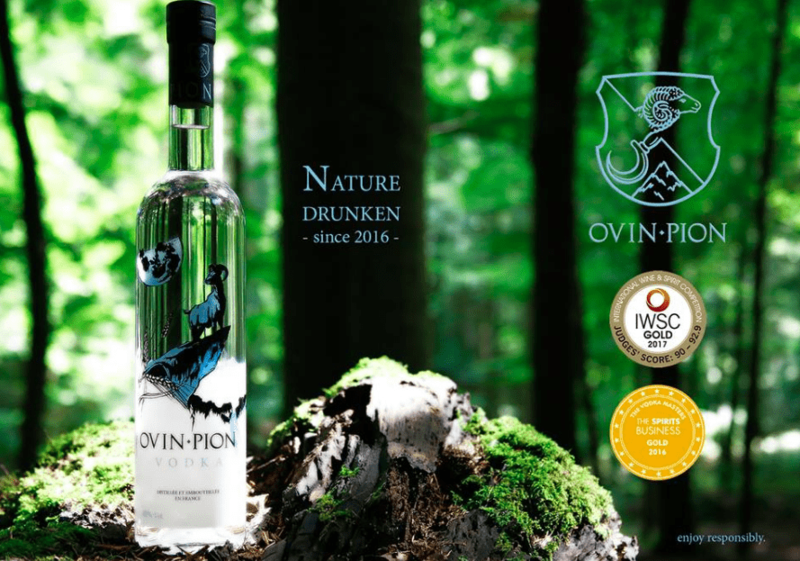 This distillation process for Ovin Pion, designed by their cellar master Mickaël Bouilly and his extensive knowledge in order to create an ultra premium vodka of excellent quality.